In this downloadable MP3 file, I tell you about a breakthrough method that I discovered during the past 18 years of analyzing story. I believe that this method will help you write a stronger TV pilot script. It all starts with a strong log line, the setup of a powerful dilemma and a clear goal that stems from the dilemma. I also go into a popular exercise I have writers do where I have them write what I refer to as a “Log line For Your Life.” I will go deep into this philosophy. I will also tell you about a 5-week structure to adhere to while completing your pilot script. I created this downloadable MP3 file because I recognize that the pilot script is the hardest script to write out of any script out there. I want to help unmask some of the mystery behind what it is to write a strong pilot script. 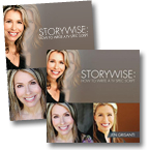 In the companion downloadable workbook, I tell you about a breakthrough method that I discovered during the past 18 years of analyzing story. I believe that this method will help you to write a stronger TV pilot script. It all starts with a strong log line, the setup of a powerful dilemma and a clear goal that stems from the dilemma. I also go into a popular exercise I have writers do where I have them write what I refer to as a “Log line For Your Life.” I will go deep into this philosophy. I will also tell you about a 5-week structure to adhere to while completing your pilot script. I created this workbook because I recognize that the pilot script is the hardest script to write out of any script out there. I want to help unmask some of the mystery behind what it is to write a strong pilot script.